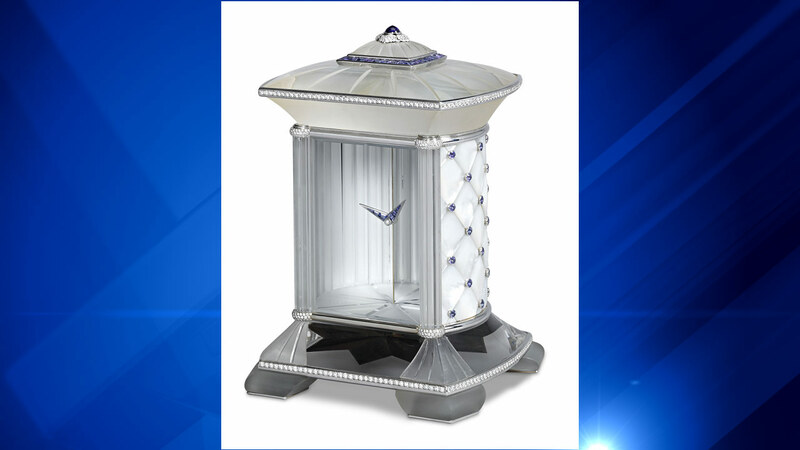 CHICAGO (WLS) -- An antique clock worth $425,000 was stolen Sunday from a show at the Merchandise Mart in Chicago, building security officials confirmed. The clock was part of the Chicago + Antique +Design Show on the building's 7th floor. At about 4:30 p.m., police responded to the Merchandise Mart, located in the 200-block of West Merchandise Mart Plaza in the River North neighborhood, Chicago police said. The Asprey & Company Mystery Clock belonged to the M.S. Rau Antiques booth. Police said two suspects distracted the employees at the booth while a third took the clock. No suspects are in custody. A spokesperson for M.S. Rau released a statement saying, ""It was unfortunate that this theft happened during what was otherwise a wonderful and successful show for M.S. Rau Antiques from New Orleans. Though there was security throughout the Chicago Antiques, Art + Design Show, the thieves were able to steal an incredibly rare Asprey & Co. mystery clock that is valued at $425,000. The police were immediately notified and quickly on-site. An investigation is underway. Our security footage is being reviewed by the police and we're confident that the criminals will be quickly apprehended and this wonderful timepiece returned. We're awaiting further details."